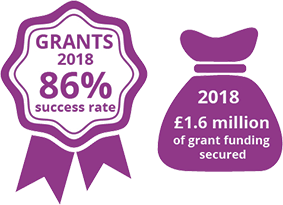 Small Capital Grants will support the delivery of the Art Councils goals by ensuring arts and cultural organisations have the right capital assets to support the delivery of their work. In particular, capital investment is an important way of helping to deliver resilience (Goal 3). The Art Council will prioritise National Portfolio Organisations and applications for improvements to existing arts and cultural facilities, particularly where these give full consideration to environmental sustainability. Projects should meet high standards of design and construction, including ensuring maximum independent access for disabled people. We will also use the fund to improve digital infrastructure for the arts and cultural sector and to support the quality, volume and reach of digital content.